Note: Due to size and/or product restrictions, our global partner Borderfree cannot ship certain items to international destinations. Fluke, Fluke Networks, and Rohde & Schwarz cannot be exported outside of the USA. 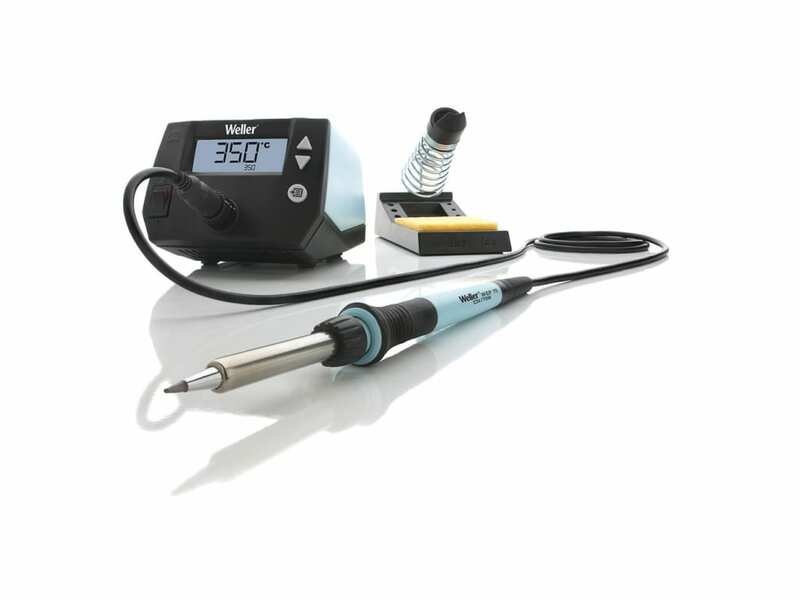 The Weller WE1010NA is a 70 watt digital soldering station, and is designed for education, advanced hobbyists and professional users. 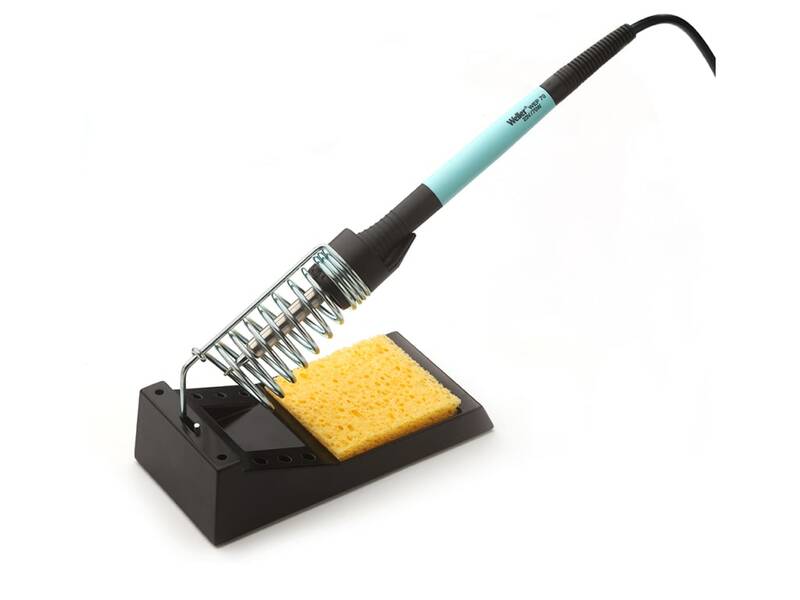 40% more powerful than the previous WES / WESD station, this iron heats up quickly and provides a faster recovery time - you will get the job done quicker, and with more efficiency and precision. 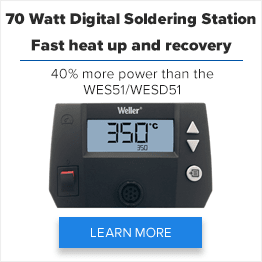 Digital 70 W soldering station, 40% more powerful than existing 50 W stations in the same category. This allows the iron to heat up fast and to provide a fast recovery time - gets the job done quicker with more efficiency and precision. 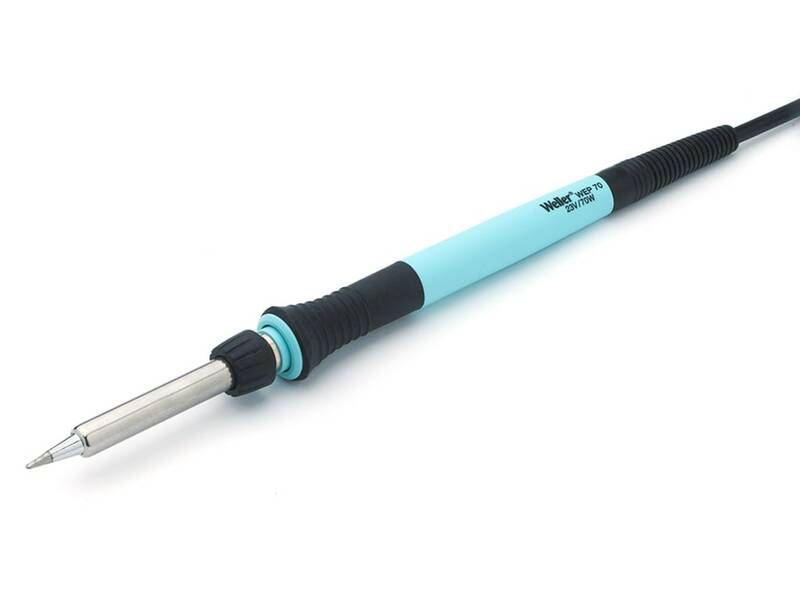 The iron was designed in a light weight pencil style with a co-molded grip. The new and improved safety rest has additional support so that the iron is stored securely in place in between use. The station is designed in a state-of-the-art housing with front panel power switch for easy access. 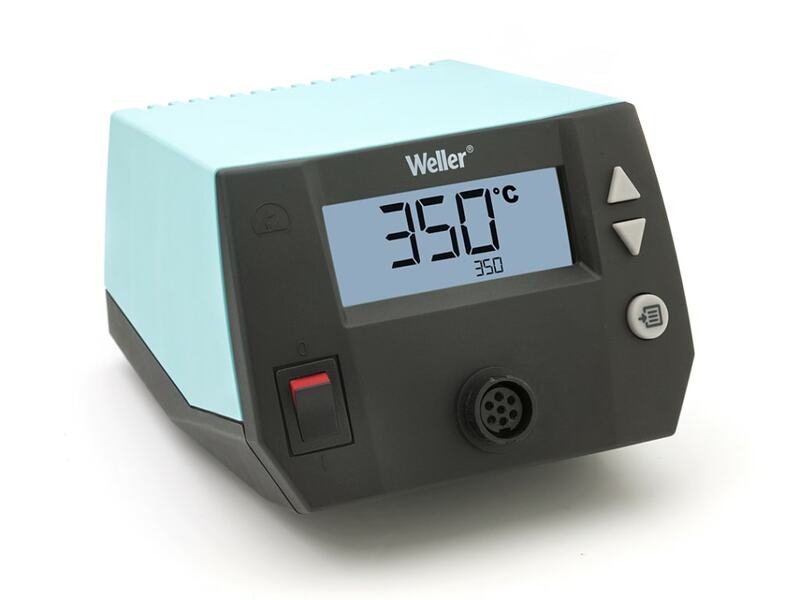 The digital WE soldering station features an easy-to-read LCD screen with 3 push buttons providing easy temperature control, a front switch for easy on/off and intuitive navigation through all new SW features. Change hot tips out by hand by twisting the plastic knurled nut on the soldering pencil without an additional tool. The soldering set and the genuine Weller ET series tips provide the best performance and an extraordinary lifetime. Choose from a wide selection of existing high quality, affordable, genuine Weller ET tips. Here’s where the station starts to pay for itself. The flexible silicon cable withstands heat because it meets the highest industry standards for mechanical strength (overload/stress). Because it’s certified ESD safe, the WE station can be used for professional use. Q: Which tips are compatible with the Weller WE1010NA? A: The Weller WE1010NA uses ET series tips, which can be viewed by clicking here. Q: How is the Weller WE1010NA different from the WES51? A: The WE1010NA and the WES51 differ in a couple ways. First, the WE1010NA has digital controls, while the WES51 is analog. 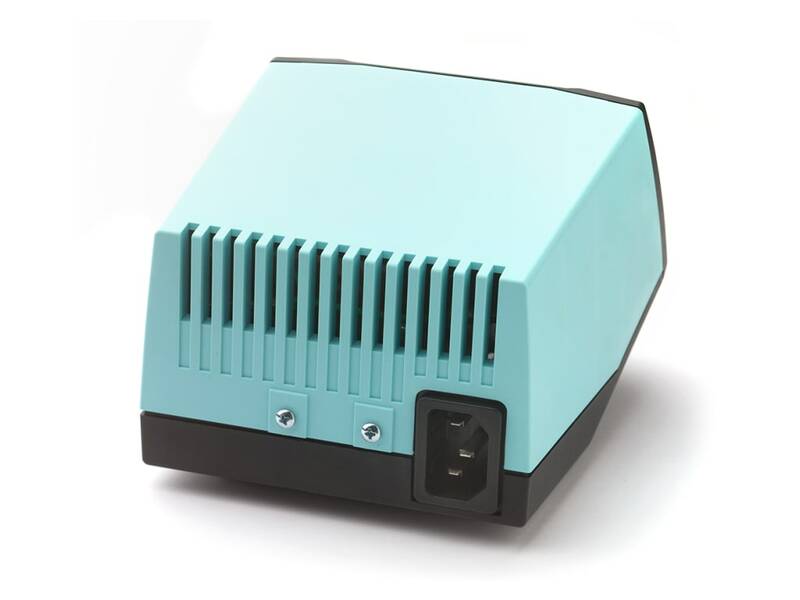 Second, the WE1010NA is more powerful at 70 watts, compared to 50 watts for the WES51. Great station, two things I really like are 1. The display reads out both the setpoint temp and the actual temp of the iron. 2. The grip on the iron is excellent. It's a thin rubbery grip which is maybe the best feeling grip of any iron I've ever used. The control feels almost like as if it were a pencil. Now the reason I gave it only 4 stars is because the ET tips are hard to find in singles. Sure you can easily find them in 5, 10, 18 packs but if you need to replace just one there's not many options. Tequipment expand your ET tip selection. It’s hard to get excited about a soldering iron, at least thats what I thought. No more waiting all day for it to heat up. No more crappy tips. This is the Cadillac of soldering. So much easier to do fine soldering on circuit boards. Don’t throw your money away on a cheaper unit only to pitch that in the garbage like I did. Honestly for the price you’d be crazy not to just get this one! I am a hobbyist that always struggled with soldering projects. wether it be RC rock crawler, Short Course Truck, Battery Packs, Slot Car track & Slot Cars, I would complete the task but never satisfied with finished job. Bought the Weller 1010NA, tips, & watched video's practiced with different tips, and now I am confident to add digital boards, change motors etc. Confidence is now 'B ' , & saving $ by not screwing stuff up! Very disappointed at this product since the metal part of the soldering iron came out of the plastic holder way too easy. 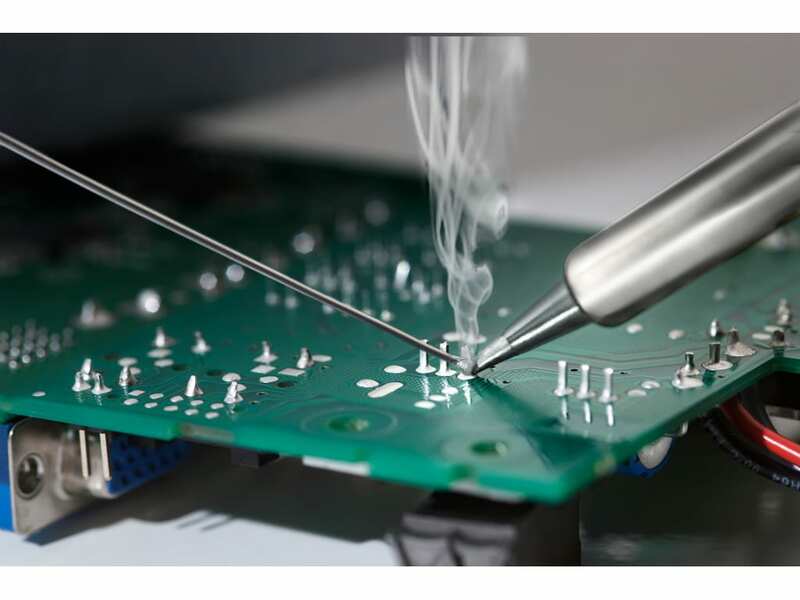 At 370 C degree to solder some parts who connect to GND plate, a gentle push of the tip can easily cause the joint between the plastic holder and the metal heater break apart. Although I've been professionally involved with solder for many years as an Electrical Engineer, I had one of my finger tip burnt when the heater part came out. I wish I can upload picture here to show how bad it is. Although I am always a Weller fan and consistently using Weller at work as well, I am very disappointing with this product. I have owned and used Weller Soldiering stations for over 35 years or more. My first one was W-TCP soldering station with a "Magnastat" iron. I purchased about 1968. It lasted over 25 years. I have had many other models over the years and they all have performed excellent. I would not even consider any other brand. I am sure the Weller 1010NA will give me the same kind of service. They are built to last. I love the slim iron on the 1010NA. I had a mobile Two way radio repair service for many years I put the soldiering stations through hell and they always held up. I've had a Weller soldering iron for about 25 years. It was some of the excess tools that IBM was selling, so it was used when I bought it. That is a pretty good story of reliability. I wanted a new one, so I just purchased one and plugged it in and used it when I got it. It is as good as you can get !!! Could not be happier . I manage a company that has 4 of these units in daily operation and have had zero problems with them so far. Very quick to heat up and reliable at a great price! The iron is not as nice as some of the more expensive Weller units but it comes surprisingly close at a fraction of the price. Definitely would recommend. Excellent iron. Heats up very fast compared to my old WES51. Very economical price. Would have to pay much more to get anything better. I do wish the display had a backlight and there was an auto power off after inactivity besides the set-back (but the set-back is great compared to full temp until power off with the old iron). Those items would have made this a 5 star product. Finally bit the bullet and bought a real soldering station... Can't believe I waited so long! The Weller setup is well designed, functional and surprisingly compact. I was very impressed at how quickly the unit heated up and reached the set temperature. Changing tips is very easy. Highly recommend this unit! Nice company to do business with. Quick service and I am very satisfied with this soldering station. Just what I needed. First let me say this is my first real soldering station. I do mostly automotive electronics repair and some home electronics. Works better than anything I have owned in the past. Very pleased with this purchase. Now I look forward to using it. The temperature control is great. I’d recommend this to any novice looking to improve your soldering ability. Had my Weller WS51 soldering station for many, problem free years. The price for the Weller WE1010NA was too good to resist so ordered one primarily as a backup, even though the WS51 is still going strong. Ordering and delivery were problem free. The WE1010NA is exactly what is needed for short run work installing small components, including SMT parts. Just make sure you invest in and use the right tip. Have checked the WE1010NA out recently. Works as expected. No complaints. I have used the WE series Weller stations for years and this model does not disappoint. It has all the features you would expect and is a nice step up from previous models. The instruction manual is very basic but walking through the menu is very intuitive. The unit heats up quickly and the handle is very light weight. I would definitely recommend this product. Purchased this last year and have been working great. The only drawback about this unit is the rubber piece of the soldering handle is starting to degrade from light use. I want to like it, but it's stuck in shipping hell. They won't deliver it without signature, and I'm not available when they stop by. Three attempts and it goes back to start all over again. I'm tempted to just hit "return to sender" on the UPS site. TE supposedly could lift the requirement, or have it delivered to a depot but will not. I don't care if it's stolen off the porch anymore. It's been a week and now it's a holiday. Good step up from irons that don't regulate temperature. If your work is requiring less heat as to not damage other components this is a good Iron for the money. Good but not great! Hakko FX888D a better choice! This is a totally unbiased review. I have both soldering stations. Hakko FX888D's user interface is not good at all but once you set the presets it is a compromise. Hakko FX888D is a very solid machine and maintains tip temperature well. Weller WE1010NA, on the other hand, drops the temperature like crazy when soldering something big. Not sure if the Weller has 70 watts of power (says it does but definitely does not feel like it). Also no backlight for the Weller which is a shame as you have to make an effort to read the display. Hakko FX888D is a clear winner here. First of all, there is no backlight. User interface is better than Hakko 888D BUT Hakko 888D is a very solid and robust machine. 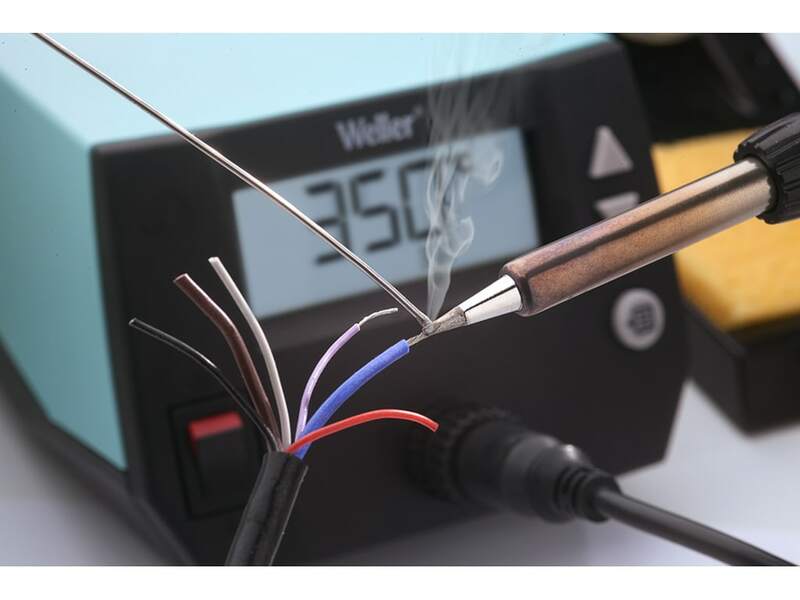 Hakko 888D does not drop temperature like crazy when you are soldering something that requires more capacity. I wonder if it has really 70 watts of power? Hakko 888D is much better pick; just program the presets to overcome the ridiculous user interface that the Hakko 888D has. I am very pleased with this new soldering station. It has very precise temperature control. It heats up very quickly, but decreases temperature quite quickly as well when you set a lower temp. If this unit lasts as long as other Weller units I've owned over the years, it will be my all time favorite soldering station. This iron offers great value for the price. The controls are simple but fairly easy to operate, the wand has a nice long cord, and the iron heats up reasonably quickly (less than 30 seconds to get 700F) and has changeable tips. I'd recommend getting a Metcal tip-changing pad (MX-CP1) to make the process of changing tips easier. There are a good variety of tips available for the iron, and they're reasonably priced. Great build quality. Heats up quickly. Being able to see and adjust the actual temperature is a real plus. Priced right, too! Been a Weller user since the 70's. This is a great replacement for the EC2000 series. Time will tell for reliability, but it is faster heat up and recovery, wide range of good inexpensive tips and accurate temperature. If it lasts 25 years like my old EC2000 it will be the greatest. I owned an older weller for years but it was starting to show lots of age so I updated. I really like the digital readout and the auto off. I haven't had it long enough to comment on it's long term durability. But it seems well made and easy to use. The manual is goofy (each page is written in single line description in about 20 languages), I had to figured out the lock function but I think I know what it does (but never will need it), but most functions are intuitive. Through no fault of their own, upon receipt of my new Weller WT1010N soldering station I noticed the plastic case was broken although not during shipment, it appears it came from Weller that way as the shipping box and the unit packaging looked undamaged. No problem, TEquipment’s courteous customer service promptly resolved the issue via an RMA. Thank you TEquipment, you are my go to source! I have always used direct wall plug units and I am very glad that I finally purchased a temp control station. The unit is simple to use and holds temp very well. This station has made my work flow much more productive and accurate. I am impressed with the build quality of this unit and I am now looking at a Weller hot air station to complement this station. This is a great iron for the hobby electronics enthusiast. I bought this to repair electronics and appliances. It works as well as my old Weller station (EC 2002) did. It heats up fast and is very easy to use. Many of the reviews I read online before buying said that the manual is bad, and lacked information. I don't think it does. I figured it all out pretty quick. Very pleasantly surprised with the quality of this soldering station. should have bought it long ago. Been using Weller for 50 years consistent quality! Best soldering iron I have had. You have to try this one! Best soldering iron that I have ever owned! 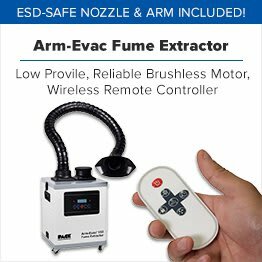 Great unit, heats up quickly, time adjustable auto rest feature, nice handpiece. The display is with large easy to read font, only wish the display had a LIGHT! It's a Weller. That pretty much sums it up. The unit is a solid station with very easy to use controls and interface. And boy does this unit ever heat up fast!!! No one likes to wait around for their soldering iron to get up to temp - you folks know what I mean I am sure. The temperature sensor is super sensitive so you can see how much heat you are sucking out of the iron while soldering. The pen fits nicely in hand and the cord is super supple and pliant. Make sure that you get a selection of tips to go with the unit when you order. You will definitely need them. Remember keep your tips clean! All in all this is a great value for the price and will work well for hobbyist and those with serious soldering needs. And the customer service and delivery are excellent from tequipment.net! Just received this recently and was pleased with my first use. Heated up very quickly, build-quality is high. Documentation could be improved. There's very little information but printed in just about every language imaginable. VERY pleased. a huge improvement over the WES series. Much more controllability, and easy to use. Delighted. Became non functional after less than 4 hours of use. Tequipment response: Thank you for your review. I am sorry to hear the product failed. Please contact us so we can replace it for you. Intuitive controls, small soldering tip made it the perfect tool for building a component in my amateur radio station. Tip temperature was rock steady making for consistent joints. Highly recommended. I was about to buy the older analog Weller soldering station, until I discovered this one at a great price here. Since I work on solid state as well as tube-type equipment, I especially value the 70-watt power capability and Weller's wide range of tips available. After years using a 40 year old Weller solder station with non adjustable temperature setting I decided to purchase one with adjustable temperature and higher power than my old 45 watt one. The Weller WE1010NA is excellent in all respects, Extremely well designed and constructed, very fast heating, very comfortable iron with high quality flexible cord, and modern digital controls. Amazingly this station actually cost me less than I was expecting to pay and hardly any more than my old but reliable weller. Fantastic product and highly recommended. Bought this soldering station for my rc hobby. The best I’ve used to date. I would recommend this unit for the pro or novice. Best value for the dollar. Excellent price point.Exellent power. I've used the Weller Wes51d for many years. 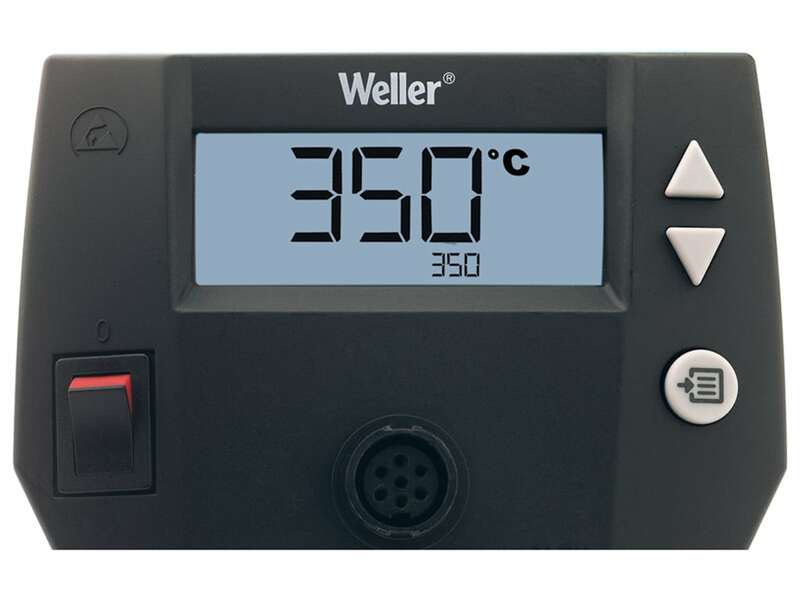 This new unit, which replaces the 51d, provides all the performance you expect from Weller. This is my first "Soldering Station". I have always used a 35W solder iron for general electrical repairs around the house and on vehicles. 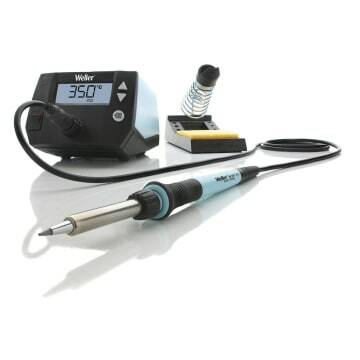 This unit heats up very fast and the soldering wand feels comfortable along with the cord being flexible makes for a nice soldering experience. The reason I give it 4 stars is that to change the tip you unscrew the retaining tube and slide it off. My iron had burs on the inside tube that made unscrewing and sliding the outer tube off stiff and sounded like scrapping metal. I ended up filing the burs smooth and now the outer tube slides nicely on and off. Not a big deal, but I feel Weller is a top name soldering manufacture and am a little disappointed in needing to file burs on a new unit. I have read some reviews that complain about the lack of detailed instructions in the manual, but it's not too hard to figure out. In the end, I would recommend this unit. good product and save money. easy to set up, works great, easy to change tips, the price from TEquipment is very good for this product. This unit is the best Weller has to offer for the money. It is well built and works better than advertised. It heats fast, and maintains an accurate temperature. The solder pencil is smaller, lighter, and easier to hold than my old Brand X. Operation is simple and intuitive. I work in flight simulation and often have a need to rework or modify circuits. The Weller 1010NA is a great station. 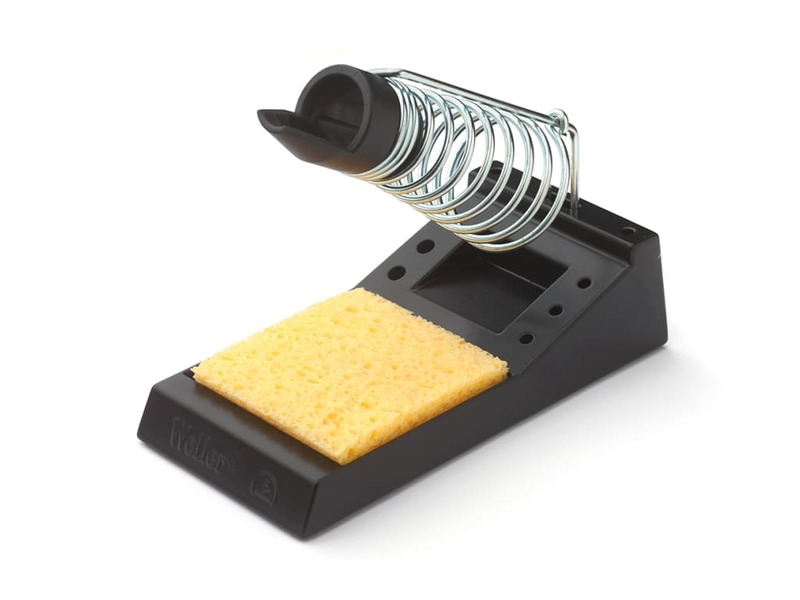 Compact, the iron itself is slim and easy to hold. The temperature control is accurate and the availability of a multitude of tips is very convenient. Shipping was rather quick considering it crossed a border and customs. 110% Satisfied. The Weller is reliable, easy to use, intuitive navigation, standby mode. NIce Item. I have used the older analog version at an avionics shop. Weller is a great brand. I’m very happy with this unit, easy to control temps and such nice quality. i like it, a good value and pleasant shopping experience. Give our sales team a call at 877.571.7901 (Toll Free) or 732.222.7077 (International) and we'll match any competitor's price.